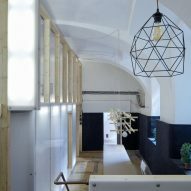 The Distillery is a co-working space in Brno, Czech Republic, featuring unfinished walls, ageing ceiling beams and a drinks bar in a disused elevator shaft. 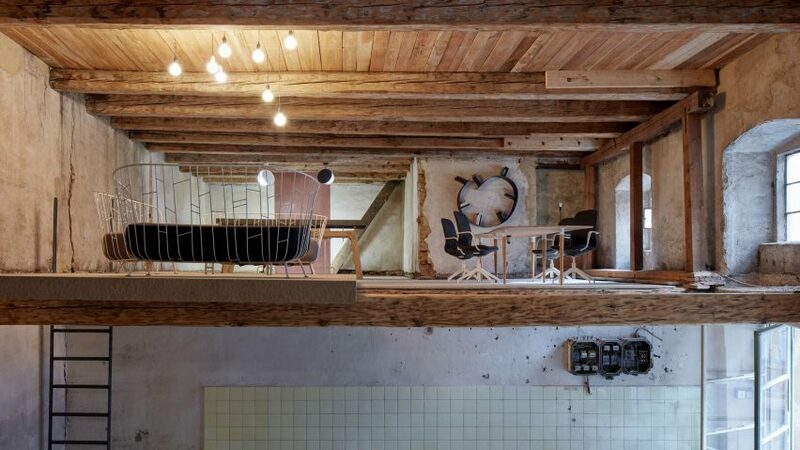 Locally based architecture studio Kogaa converted a former distillery to create the workspace, but decided to leave much of the building unchanged. 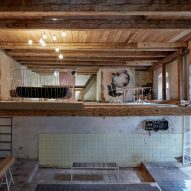 It forms the first project of a new social enterprise launched by the architects, aiming to repurpose abandoned or decaying structures. Initially run by a Jewish family in the early 19th century, the distillery was largely ruined and set for demolition. But Kogaa stepped in with the idea of giving the building a new life. 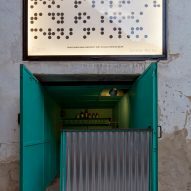 "We had a vision on how the place could work but we couldn't afford to reconstruct it all at once, therefore we started with practical reconstructions in the smallest of spaces," Alexandra Georgescu, founding partner of Kogaa, told Dezeen. "More than a restoration process, we carried out work to highlight the building's recognisable and unique features," she added. 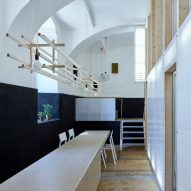 The practice began by knocking out the ceiling between the building's second and third floors, forming a double-height space that can be used for lectures, workshops or other presentations, depending on the requirements of visitors. 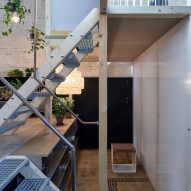 The former third floor now acts as a mezzanine level, with some parts fronted by panels of corrugated polycarbonate plastic to create private offices. "The process of growth and change in the distillery happened – and is still happening – gradually. 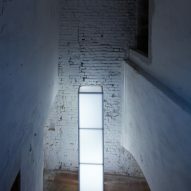 It's directly influenced by the local market and its needs," Georgescu explained. As well as preserving the distillery's metal window frames and floor tiles, the architects have also left several of the walls in their found state. 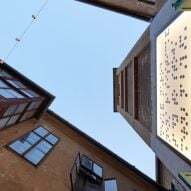 The original elevator cabin now serves as a drinks bar, which opens onto an outdoor courtyard where visitors can sit and relax. Decor throughout the building has otherwise been kept simple – most of the rooms feature shelving units and irregularly-shaped pink tables made from timber that the practice recycled from past installations or exhibition sets. 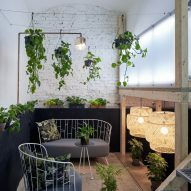 Similarly, earlier this year Emrys Architects transformed a listed ironworks in London into shared offices. 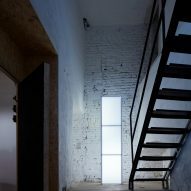 Meanwhile interior designer Chiara De Rege recently overhauled an old paper factory in Brooklyn to create the third outpost of women-only co-working club The Wing.